Actually this is a pure html case, the only reason that I put it in a Dynamic Web Project is that I want to use the exiting run-jetty-run plugin in my Eclipse since I am lazy to config a server for it. 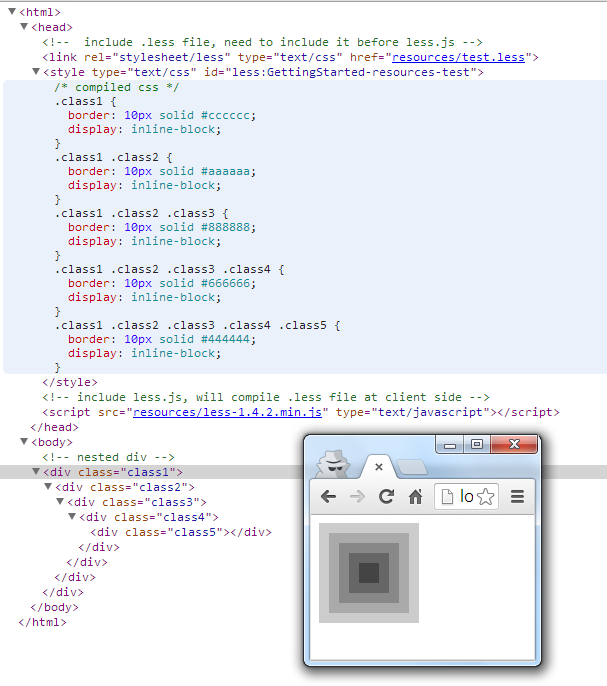 Simple html page, declare less file and load less.js. Say 'declare' since the .less file seems loaded by less.js with AJAX instead of load by link directly. And less.js downloaded from official site of LESS.